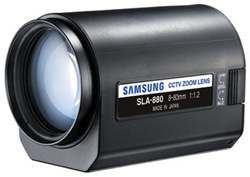 The Samsung SNB-1001 is a network box camera that features 640x480 resolution images with best in clarity and quality. This is a high performance model that features Day / Night operation. This camera is ONVIF compliant and is capable of displaying multiple resolutions. The SNB-1001 supports multiple H.264 / JPEG and MPEG-4 codecs to provide a high quality recording solution and seamless monitoring with its frame rate of 30fps. With 2D/3D filtering noise reduction technology SNB-1001 camera offers color images in dimly-lit areas with reduced noise in the picture, thereby saving storage space. Automatic gain control adjusts the signal strength to maintain a constant brightness level, and auto white balance adjusts the red and blue signals by taking a standard white color reference to get the most natural colors. 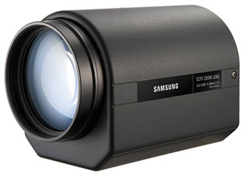 The Samsung SNB-1001 has many exciting features for users of all types. 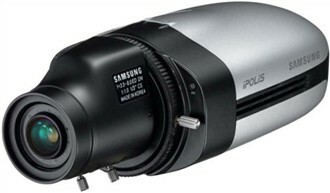 See the Samsung SNB-1001 gallery images above for more product views. FactoryOutletStore stocks a full line of accessories like 1/2" & 1/3" Motorized Zoom Len and 1/2" Vari Focal Len for the Samsung SNB-1001. The Samsung SNB-1001 is sold as a Brand New Unopened Item.